Regular grass mowing (turf maintenance) will decrease or stop allowing the grass to grow naturally. City crews will continue to monitor and maintain the areas controlling noxious prohibited weeds and trash removal. Depending on the maintenance required for weed control this stage may last 1-2 years until the naturalized grass can stabilize and the healthy ecosystem will be better able to defend itself against weeds. Then if the location is suitable to have trees and shrubs, the process will continue to stage 2, tree planting. 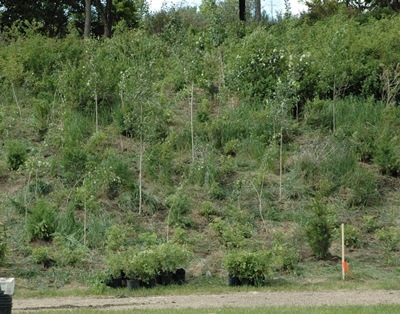 Trees and shrubs that are native to Alberta will be planted to establish a healthy and diverse ecosystem. 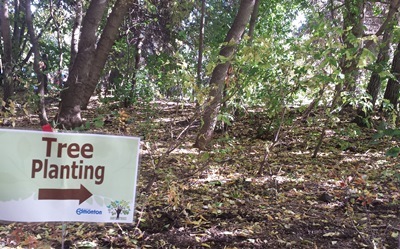 At first you will see groups of small trees that in time, will mature into a natural tree stand enhancing the landscape beauty and providing many environmental, social and economic benefits to Edmonton's citizens. Once the trees have matured the process continues to stage 3, biodiversity enhancement. To continue to promote a healthy ecosystem, smaller native trees, shrubs and wildflowers will be planted providing added benefits for beauty, biodiversity and to provide resources for wildlife to flourish and re-establish. The result will help to increase the tree canopy (tree cover) in Edmonton and is part of the Urban Forest Management Plan 10 Year Strategy for managing and enhancing our diverse urban forest so that it will continue to provide benefits for generations to come.